Double-injection and one-out nozzle design. Two filaments, two extruders, one nozzle. The exterior design of the profiled sheet metal base is used to store most of the electronic components in the sheet metal bottom case. User-friendly UI design, with sound prompts, perfect human-machine dialogue function, to bring users an unprecedented intelligent operating experience. 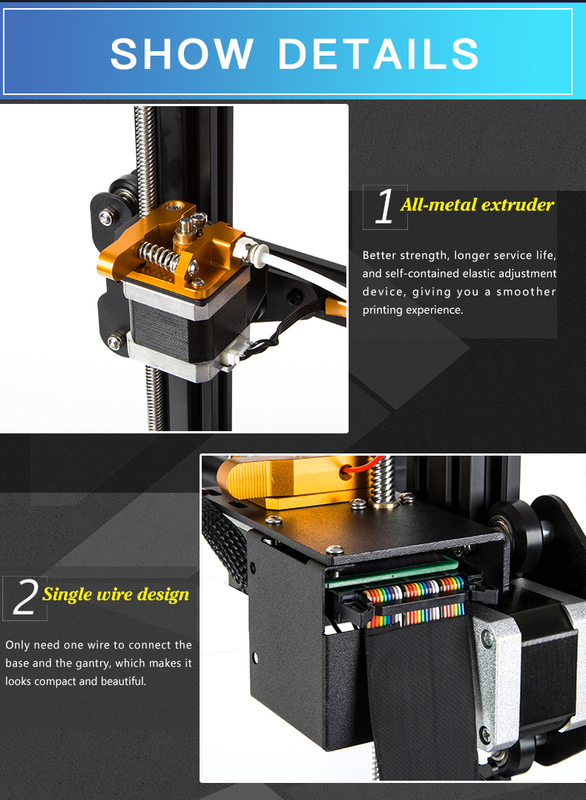 No need to use glue, perfect bonding with filament at 60°C, reduce adhesion after coolin, the model and platform are easy to separate, and the model is easy to remove. Better cooling effect, faster cooling and more efficient radiating. PLA / ABS / Wood / Soft gule / Carbon fiber / Metal materials etc. Here is User Manual for reference.